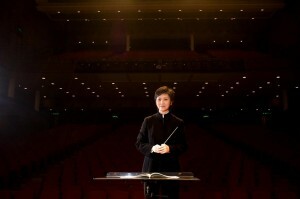 Photo Credit: HK Sinfonietta Ltd. When Anthony Inglis signals the start of the Hong Kong Sinfonietta’s Sounds Great!!! concert later this month, the orchestra will move into the last quarter of its 06/07 season doing what it does best – reaching out to people with its music. “Music is something that is for everyone to enjoy. We encourage people to come, sit in and have fun,” invites Yip Wing-sie, music director at the Hong Kong Sinfonietta. Mr Inglis is a charismatic and popular British conductor who has already left an impression on the Hong Kong audience. “I can still remember when he announced at the end of last year’s concert that he may be coming back, the audience started cheering and yelling,” recalls Ms Yip. Sounds Great!!! will be an easy listening trip through memorable movie music from such great movies as The Wizard of Oz, Star Wars, E.T., Somewhere in Time, The Gladiator and Mission Impossible. It will be followed by five other concerts till the end of March, all geared towards helping the Sinfonietta reach those people who wouldn’t normally attend ‘serious’ music performances. In February, Know Your Ballet Music aims to help the audience get a better understanding of the relationship between dance and music. “Everyone knows the music of Tchaikovsky. Even if they haven’t seen the ballet, they probably already know the music,” says Ms Yip. John Meehan, artistic director of the Hong Kong Ballet will be on hand for a stage chat and some of the company’s principal dancers will perform to excerpts from some of ballet’s all-time favourites including Tchaikovsky’s Swan Lake, The Nutcracker and The Sleeping Beauty. The Sinfonietta’s next two concerts Be My Violin Valentine and A Very Chinese New Year Concert will feature talented violinist Natsuko Yoshimoto, a member of Australia’s Grainger Quartet, the Sinfonietta’s Artist Associate for their 07/08 season. Both concerts will be conducted by Edwin Outwater and will showcase pieces that are appropriate to the festivities of the occasion. Yip Wing Sie. 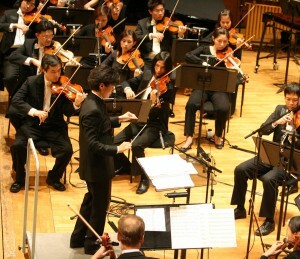 Photo Credit: HK Sinfonietta Ltd. The orchestra’s innovative artist associate program, started in April 2006, is meant to provide Sinfonietta players with the opportunity to work with different artists and talents. Grainger Quartet was chosen as the orchestra’s next artist associate because of their high standard of playing as an ensemble. “It is very demanding for a classical musician to play chamber music well. Their ability will be an inspiration to our own players,” Ms Yip explains. The quartet will come to Hong Kong on three to four different occasions, sometimes performing their own concerts, sometimes working with the Sinfonietta players in coaching sessions, sometimes playing chamber music or orchestral pieces. They will also conduct master classes for musicians outside the Sinfonietta and have outreach programmes for Hong Kong schools. 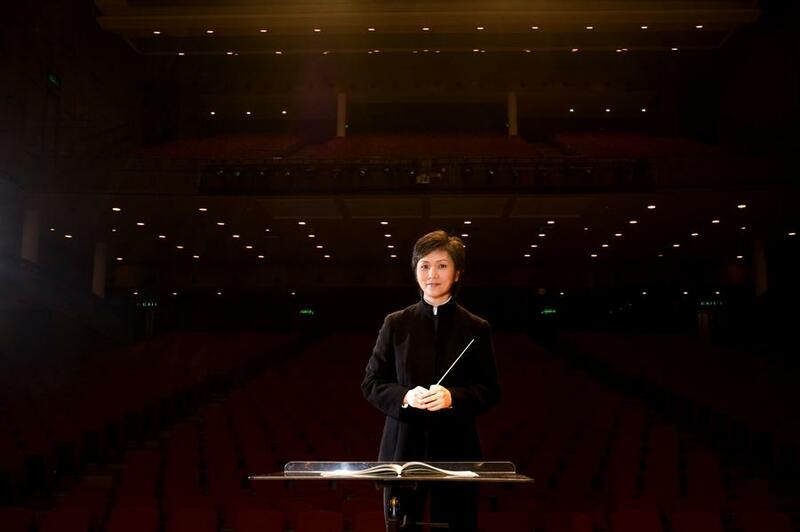 “I’m sure they will make an impact not only on the Sinfonietta but also for the general public,” says Ms Yip. Next is a concert meant for families, especially the little ones. Music that Moves Us – REALLY! is part of HKS for Kids, the Sinfonietta’s pioneering educational concert series for children, and will feature the music inspired by planes, trains, broomsticks, horses and other fun ways to travel, and will encourage children to explore music, motion and emotion. The Sinfonietta’s 06/07 season will close with Jun Kung and the Hong Kong Sinfonietta, which will feature the world premiere of Fly, a new composition by outgoing Artist Associate Ng Cheuk-yin, in March which will be performed as part of the Hong Kong Arts Festival. 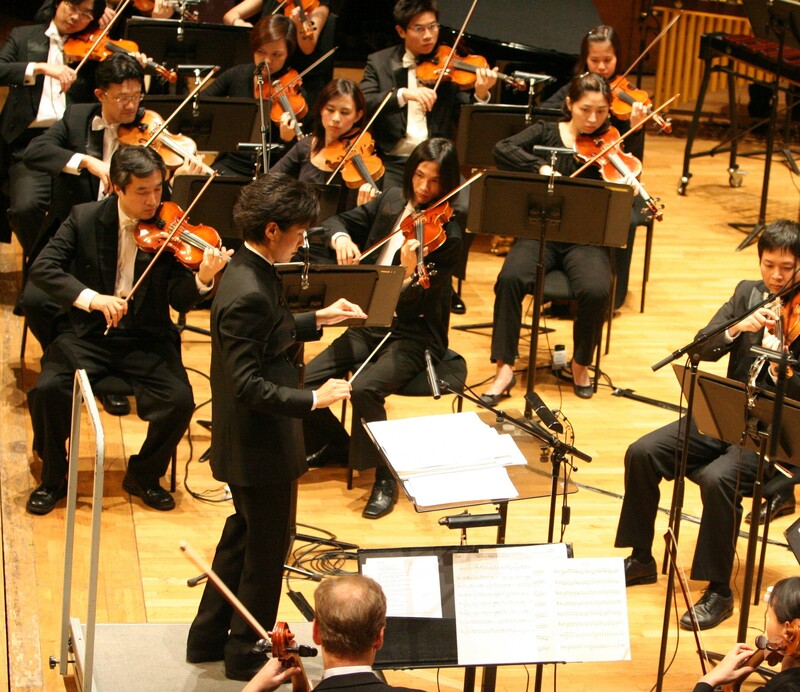 The Hong Kong Sinfonietta was founded in 1990 by a group of local musicians with the aim to promote music within the community by providing a platform for both local musicians and local composers. Today it has a full season with 56 contract musicians and a full-time management. “We want to share the music that we think is so great with as many people as possible and we would really like to start with the people in our hometown,” says Ms Yip. Ng Cheuk-Yin describes composing music as akin to writing a personal diary. “I feel as if I am sharing my feelings with friends,” he explains. When he was 10 Mr Ng studied the sheng, a Chinese mouth organ, which gave him a firm grounding in Chinese music; and then in his secondary school years he discovered both pop and rock music and would sometimes play drums, guitar and keyboard in casual gatherings with friends. Today Mr Ng is recognised as one of Hong Kong’s rising young talents in music composition. In 2000, his work The City that Never Sleeps won the “Hong Kong Theme Award” at the Hong Kong Chinese Orchestra International Competition for Chinese Orchestral Composition 2000. His orchestral piece The Static Days was selected and performed by the Belgrade Philharmonic Orchestra in Slovenia at the ISCM 2003 World Music Days. And in 2004, his work for Chinese percussion and orchestra commissioned by the Hong Kong Sinfonietta was performed in the Saint-Riquier Festival and the Flâneries Musicales d’Été de Reims in France. Mr Ng is the Hong Kong Sinfonietta’s first Artist Associate and working with the Sinfonietta has been an important learning experience for him. “It is important for a composer to realise his music with real musicians instead of just studying,” he explains. Mr Ng has a masters degree in music composition from the Chinese University of Hong Kong. “I got a chance to communicate directly with the orchestra players, to know what they feel. Dealing with an orchestra and writing music is an important process for me,” he adds. In the end it is all about the love for music. “Listening to music can bring me to different worlds. It is really wonderful. If I have 30 minutes on the bus or train I will listen to music,” he says. Mr Ng’s new composition Fly, a fusion between orchestral and pop music, will be performed by the Hong Kong Sinfonietta together with Hong Kong’s drumming sensation Jun Kung and bass guitarist Liang Chun-wai, on March 16 as part of the Hong Kong Arts Festival. For Natsuko Yoshimoto, violin soloist and chamber musician, music is not a job but rather, a vocation and a lifestyle. “I wouldn’t be me if I didn’t do music,” she declares. Natsuko plays first violin in Grainger Quartet, an international quartet based in Australia whose other members are violinist James Cuddeford, violist Jeremy Williams and cellist Peter Rejto. Grainger Quartet is the Hong Kong Sinfonietta’s Artist Associate for its 07/08 season. “We will be working with them on many different levels. Basically the main aim is to make music together,” Natsuko explains. Natsuko’s musical talents were apparent from an early age. She left Japan at 11 when she won a full scholarship to study at the Yehudi Menuhin School in England. Since then she has won numerous prizes and awards, including the Gold Medal in the prestigious 1994 Shell/London Symphony Orchestra Competition and the First Prize of the Orchestra Ensemble Kanazawa Award. Highly sought after as a soloist and as a chamber musician, Natsuko will perform in the Hong Kong Sinfonietta’s Be My Violin Valentine concert and A Very Chinese New Year concert, both scheduled for next month.